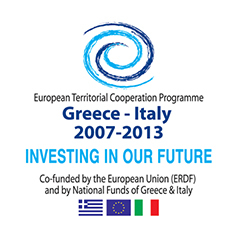 The project “Improving governance, management and sustainability of rural and coastal protected areas and contributing to the implementation of the Natura 2000 provisions in IT and GR” with the acronym “BIG” is implemented in the framework of the cross-border European Territorial Cooperation Programme INTERREG IV “Greece-Italy 2007-2013”. BIG project has been developed starting from the idea of improving governance, management and sustainable valorization of parks and Natura 2000 sites in the cross-border area. In fact, the OP Greece-Italy represents the opportunity to operate in these territories, which present many analogies in terms of similar coastal and rural ecosystems and biodiversity richness as well as the needs of improving administrative levels to contribute to the Natura 2000 implementation. First project idea sharing took place in Corfu in march 2013 when the first meeting between Greek and Italian partners led to the definition of the general idea. In the following weeks the needs has been fine-tuned by partners in their own regions thanks some local project meetings and the logical framework of the proposal has been shared (problems, objectives, activities, outputs and results). The partnership has thus been established and is composed by 4 regions, 1 Province and 4 research bodies in order to take into account complementarities between expertise and needs of the regions and requested scientific competences in ICT, environmental and sustainable rural development fields. A continuous e-mail, Skype and phone sharing and the contributions made by each BIG partner has led to the definition of a project draft. The following days have been used for designing the project management structure and jointly analyze the proper division of roles and responsibilities. In fact, the smooth project implementation is guaranteed by the presence and the organization of complementary skills and expertise as a guarantee of project sustainability. The LP kept relationships and embedded contributions by all partners about the features of the territories and past experiences. Finally, the info-day held in Patras the 16th of April 2013 has been the occasion to refine the proposal (thanks to the information given by the managing authority), share and discuss budget distribution and consolidate relationships.